Exit I-15 at Via Rancho Parkway and go EAST. Continue around the shopping center. Turn RIGHT onto San Pasqual Valley Road (78). Continue past past the Wild Animal Park – 6.4 mi. 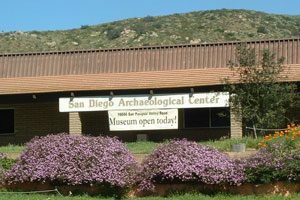 The San Diego Archaeological Center will be on your left. Disabled parking is available next to the building by going up the short ramp on the left (west) side of the parking lot. New information is challenging our worldview and causing us to rethink what we know about ancient peoples. 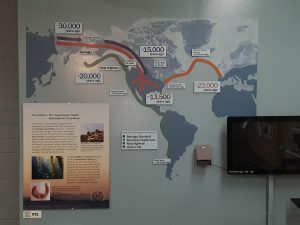 Over the last 50 years, archaeologists thought they knew how the first humans arrived in the New World and spread out to different areas of the Americas. Recent finding have begun to dispute previously accepted theories and have sparked a surge of interest in New World archaeology. Who were the first people to come to the Americas? Where did they come from and how did they get here? What happened after their arrival? In this exhibit, explore these theories about who, when, and how these early peoples came into the New World. 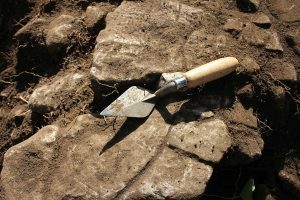 Archaeology is the study of human history and prehistory through the excavation of sites and the analysis of artifacts and other physical remains. Archaeology is important because by knowing our past, we can understand where we came from. It widens our understanding of human culture, technology, and lifestyle beyond what is written in the history books. What is an artifact? How do archaeologists know where to dig? How are stone tools made? In this exhibit, learn the basics about archaeology through hands-on activities for children and adults. Explore how local pottery was made and used. Every year thousands of artifacts and antiquities are stolen and wind up in private collections, unavailable to the public. Learn that keeping artifacts is against the law. This exhibit explores the socioeconomic lives of people who lived in Downtown San Diego in the 1880s. Museums for All – Year-round free general admission for EBT card holders. The Big Exchange – From May 1-18, 2019, members of participating museums receive free general admission to more than 30 arts and cultural destinations in San Diego. Archaeology and technology come together as the San Diego Archaeological Center partners with Cuseum, a museum engagement platform that will enhance the visitor experience. Explore the museum through self-guided walking tours featuring enhanced content, such as demonstrations. Visitors also have the convenience of making a donation or becoming a Center member directly on the web app. 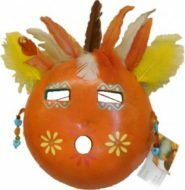 The Center has many items for sale that will further your knowledge and interest in the field of archaeology. Proceeds support Center Operations, Educational Programs, Research and Community Outreach. Drop by our gift shop and take home a souvenir or special gift.